Hardback, 6.25 x 8.75 in. / 96 pgs / 12 bw. 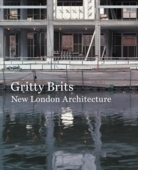 A principal of the London-based architecture firm Caruso St. John, "Gritty Brit" Adam Caruso has been writing intensively since the mid-1990s. His essays, published in The Architect's Journal, OASE, Blueprint and Tate, focus on architectural practice outside the tradition of Modernism. 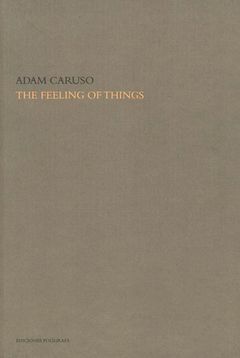 Some of Caruso's key writings, gathered here, include "Sigurd Lewerentz and a Material Basis for Form" (1997) , "The Tyranny of the New" (1998) and "The Emotional City" (2000). 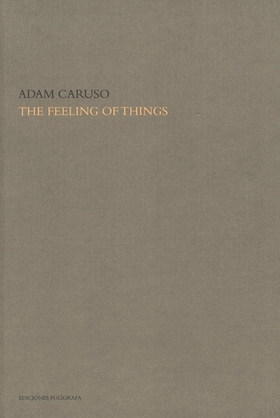 Adam Caruso was born in 1962 and studied architecture at McGill University, Montreal. He and Peter St. John worked for Florian Beigel and Arup Associates prior to establishing their practice in 1990. For many years they have taught internationally--for example at Harvard University's Graduate School of Design in 2005. Recent London projects include Gagosian Gallery, Britannia Street and the refurbishment of the Barbican Concert Hall. Caruso St. John is currently working with Tate Britain to modernize the gallery's master plan. Text by Raymund Ryan, Iain Sinclair. FORMAT: Hardback, 6.25 x 8.75 in. / 96 pgs / 12 b&w.